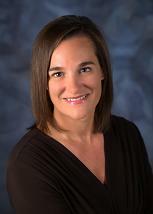 Rebecca L. Hansen | Carlson & Associates, Ltd.
Rebecca has been a paralegal with Carlson & Associates, Ltd. since 1999. Rebecca has an A.A.S. degree from Normandale Community College as well as a Legal Secretary degree from Hennepin Technical College. Rebecca works primarily in the areas of community association law and collections. Prior to joining Carlson & Associates, Rebecca worked as a paralegal and legal secretary for several law firms and corporate legal departments. Rebecca also serves as the firm’s office manager. Rebecca is a member of the Minnesota Paralegal Association and the National and Minnesota Chapters of the Association of Legal Administrators.